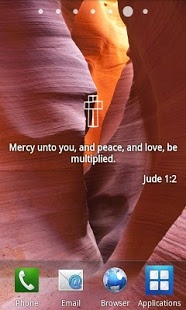 Bible Verses Free is an Android app developed by PterryWave. Others apps created by PterryWave are: Versos Biblicos liberan, Bible Verses Widget, Get Motivated Free. Bible Verses Free first became available on 25 Apr 2012. It is estimated that Bible Verses Free has been downloaded between 500000 and 1000000 times from the Play Store. Skate into the Christmas spirit. Invite Christmas into your place!